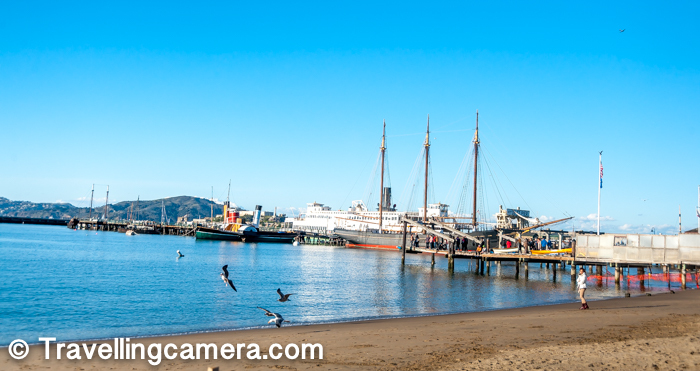 If you are in San Francisco Bay area, it doesn't make sense that you don't visit Pier-39 and doesn't matter if it's your 1st visit to bay area or 10th. In last 10 years, I got to visit different cities in San Francisco Bay area and I think almost every time I came to the city and walked around. 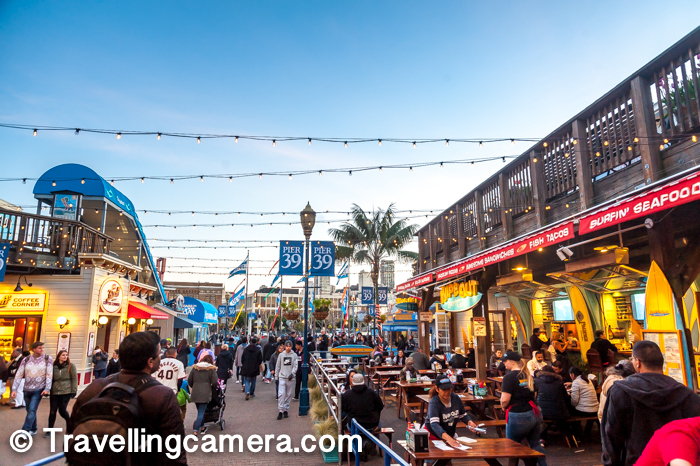 Most of the times, the walks are concluded at Pier-39 to relax, have some food and roam around to experience some of the shows happening on the streets. 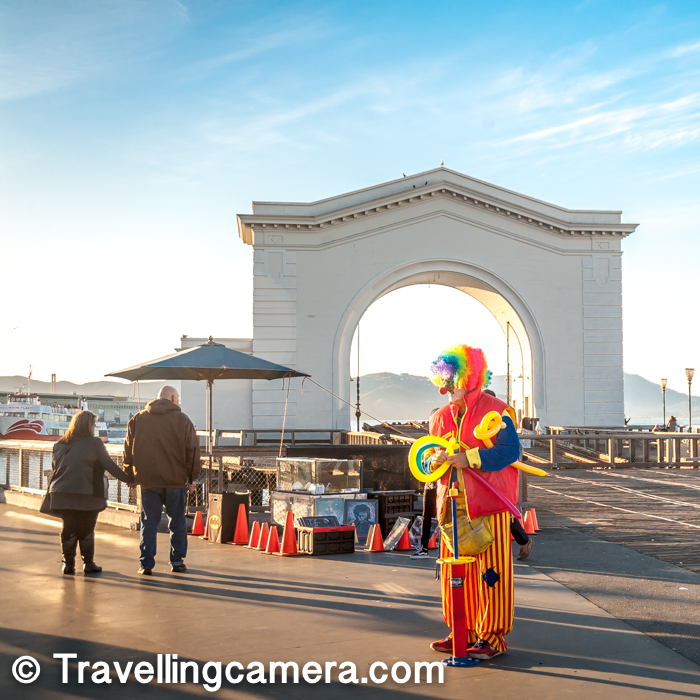 There is much more than that and this post would take you through some of the main things to do or explore around Pier-39 in San Francisco. 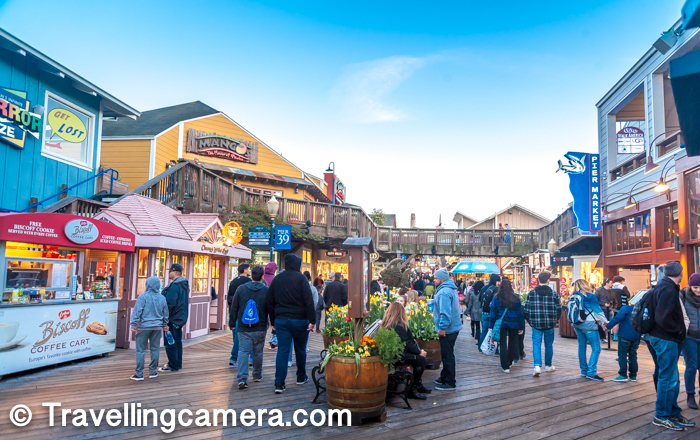 Let's talk about how to reach Pier-39 in San Francisco and what are some of the main things to do around Pier 39. 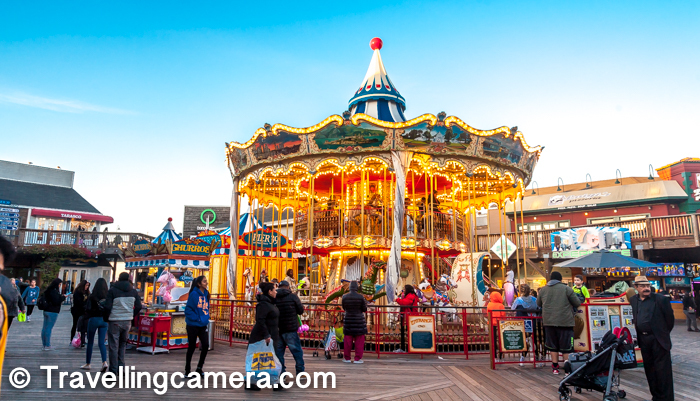 Pier-39 is well connected through different transportation systems in San Francisco city and easily approachable if you wish to walk down. 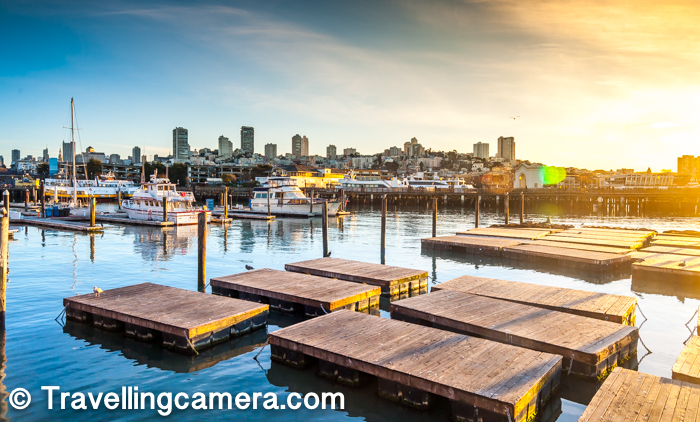 Walking around the city is one of the best way to explore San Francisco downtown and places around. 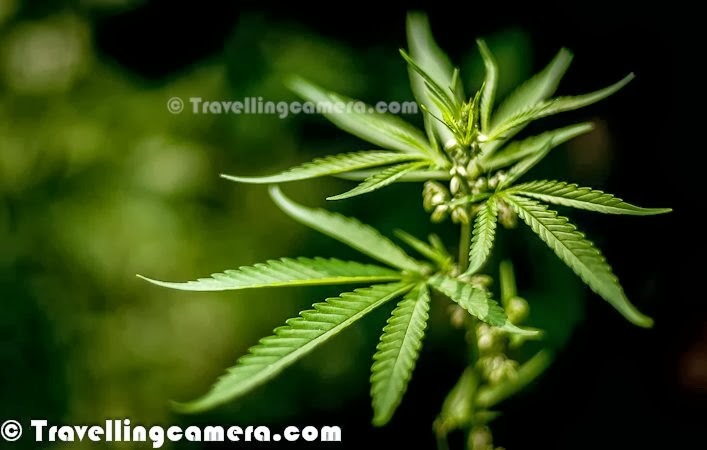 Check this post to know more about California and some of the awesome places to explore in this prosperous state of USA. 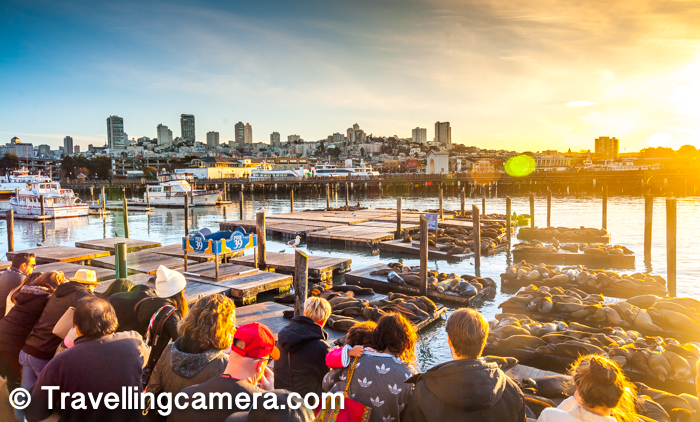 While knowing about Pier-39, you may want to check some of the main places to visit and explore in San Francisco city. - BART from SFO to SF downtown: round-trip $17.90, one way $8.95. - BART from OAK to SF downtown: round-trip $20.40, one way $10.20. - Single Ride Muni Bus/Train: $2.75 ($2.50 with a Clipper Card or the Muni Mobile App). - Single Ride Cable Car Ticket: $7. - Ride sharing (like Uber and Lyft) is typically under $15 for most trips around the city. 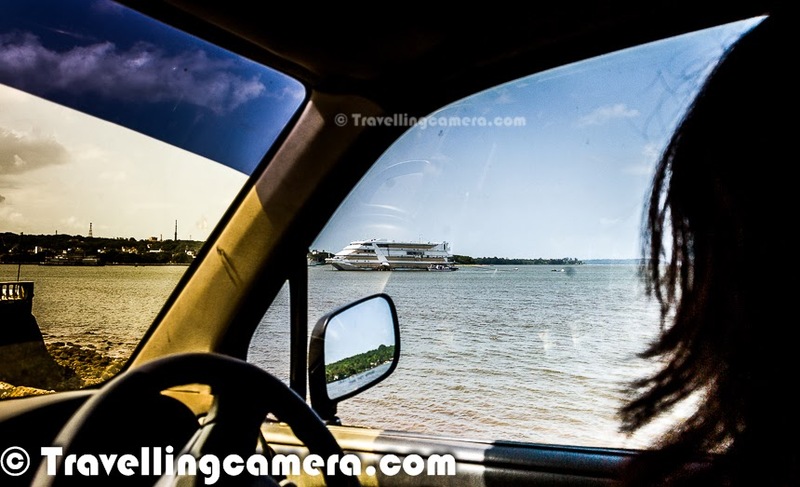 - Taxis are typically under $20 for most trips around the city. Click here to check out more stuff from USA to find out which other places you would want to explore in America. Let's talk about what all can be done around Pier-39 in San Francisco. There are plenty of places around Pier-39 and if you like walking more, there are unlimited options. 1. 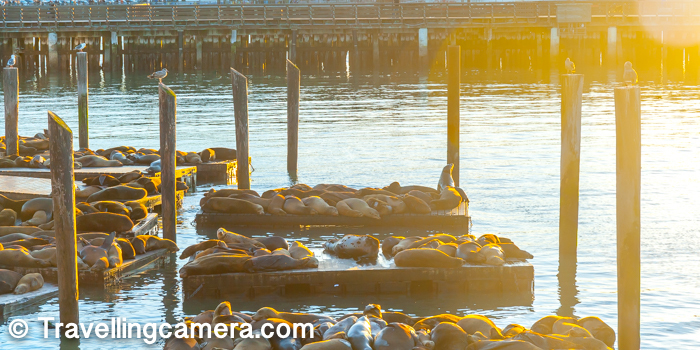 Visiting the deck at Pier-39 to see hundreds of Sea Lions making noise and lazying around. Many times I wondered why people stay at this time for long time because this place also stinks a lot and the level of stink depends how many Sea Lions are opening their mouth and making noise. 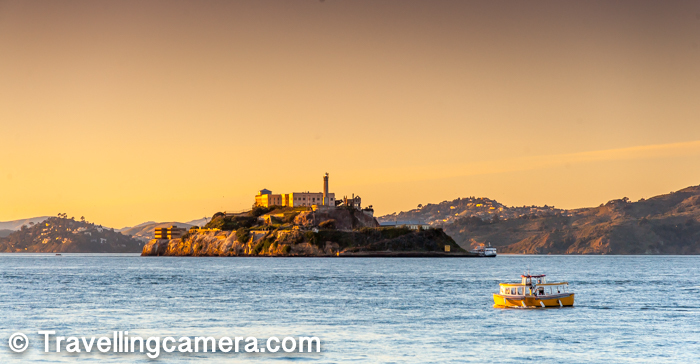 Different ferries start from ports around Pier-39 and the popular one is which takes you close to the Golden Gate Bridge and takes you around Alcatraz. 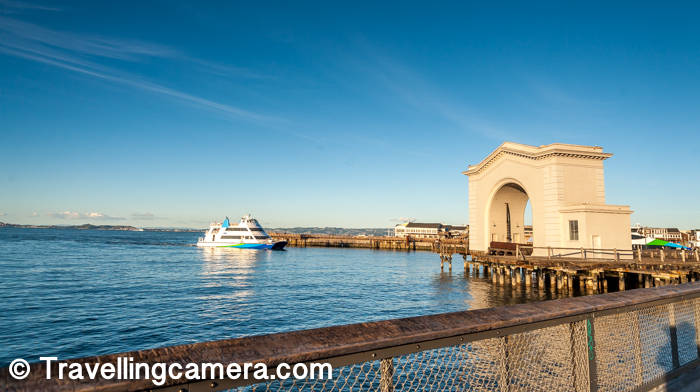 If you love taking ferries, there are more options like frequent ferry to Sausalito from Ferry Building in San Francisco. 3. 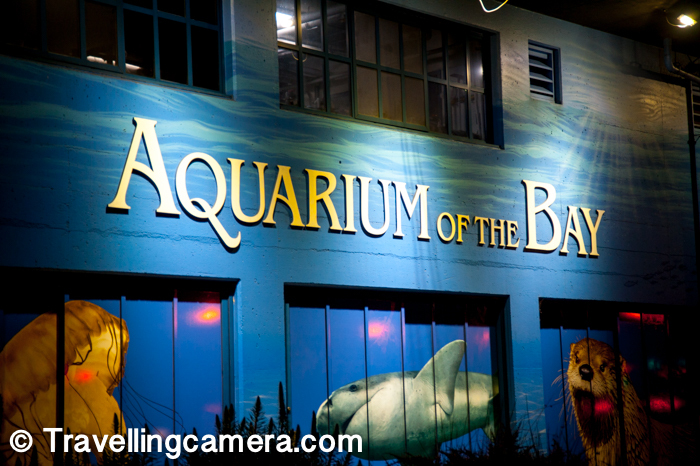 Aquarium of the Bay can be interesting place. 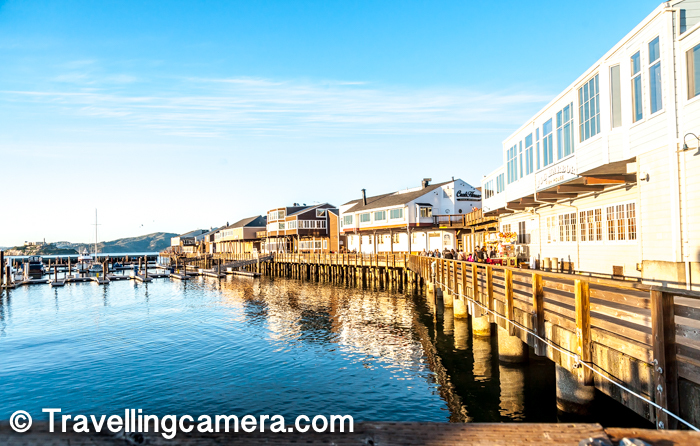 Personally I liked Monterey Aquarium over Aquarium of Bay, but it's a decent option if you are interested in exploring sea life and have time while roaming around Pier-39 and Fishermen Warf. 4. 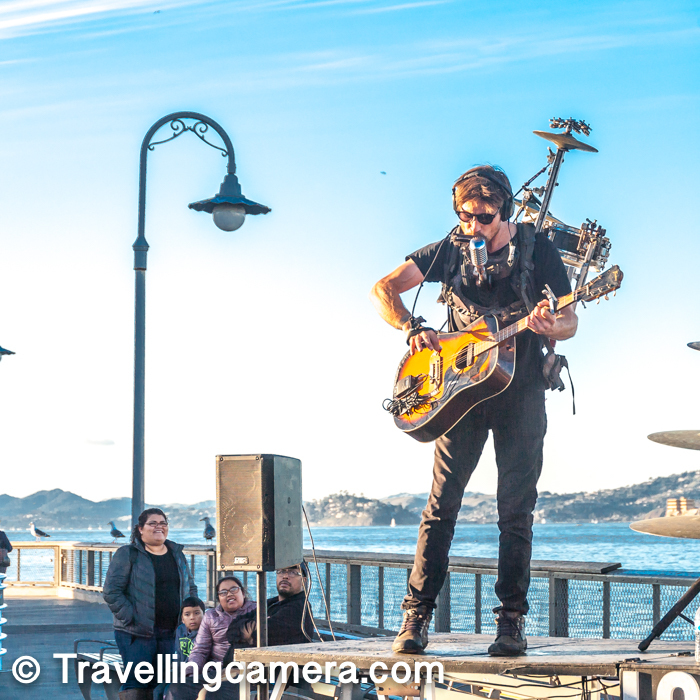 Roaming around the road and experiencing some of the artists performing on the streets. And be generous to offer them something as appreciation of their work. 5. There are some interesting restaurants and places to eat. 6. 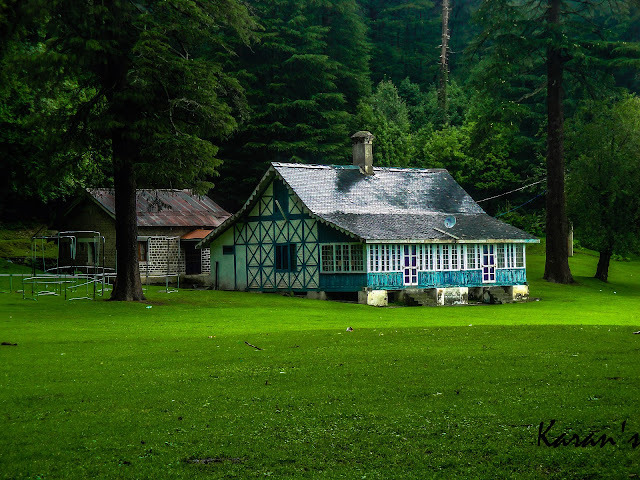 Relax around the lush green lawn close to Ghirardelli outlet. This is one of the popular outlet and if you like Ghirardelli chocolates, this is probably the best place to buy some stuff for your home. 7. Clam Chowder & Sourdough Bread Bowl - This is signature thing of San Francisco. 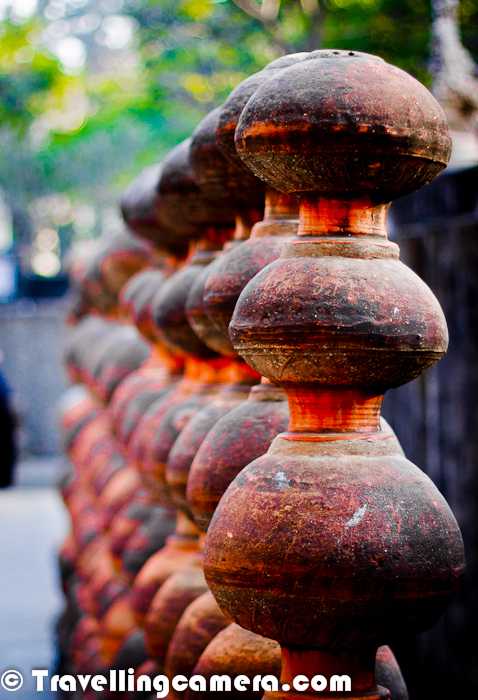 There are plenty of other things like shop hopping and finding some nice souvenirs for your loved ones. Other touristy places are also close-by. 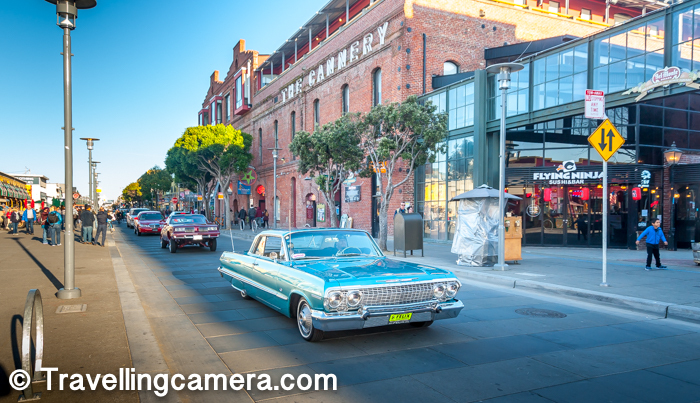 While walking around Pier-39, the roads around will always surprise you with something new. This time, there was a rally going on with some of the fancy cars in the city coming together and doing some sort of road-show and stunts. 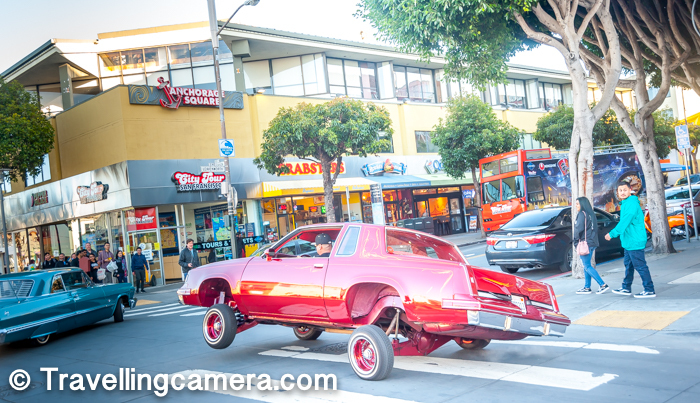 Like this photograph where car is literally dancing on the road across Pier-39. Overall it's very lively environment all around this place and there are some fancy restaurants which have seating closer to this road an hence you can enjoy your meal & drinks along with happening events on the street. 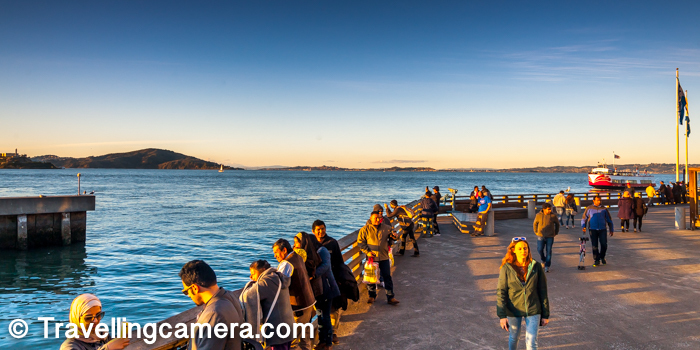 As a Photographer you have plenty of diverse photography opportunity around Pier-39. 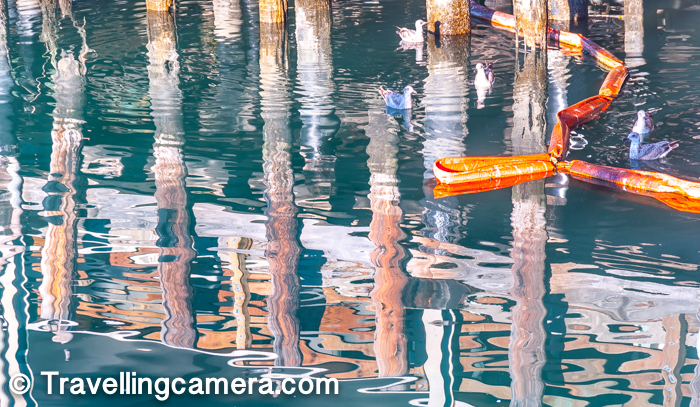 Be it water reflections like above, people on the streets, artists performing, beaches, parks, restaurants, colorful landscapes, Bay full of ships, ferries & boats etc. And today, lot of folks find interest in photography. 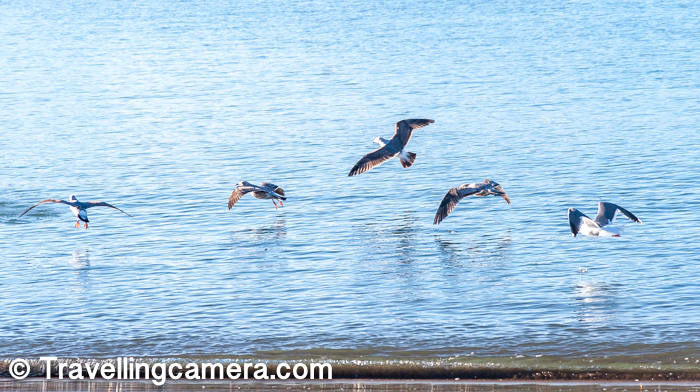 Visitors enjoying the views of the bay after a visit near the area where all the Sea Lions can be seen. 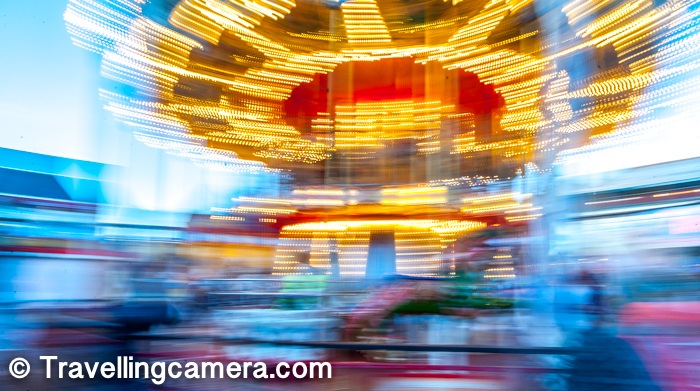 Here is one of the famous ride for kids on Pier-39 market. This market is pretty close to the area where people go for watching sea lions. So that's why I say that SF visit is sort of incomplete if you miss visiting Pier-39. 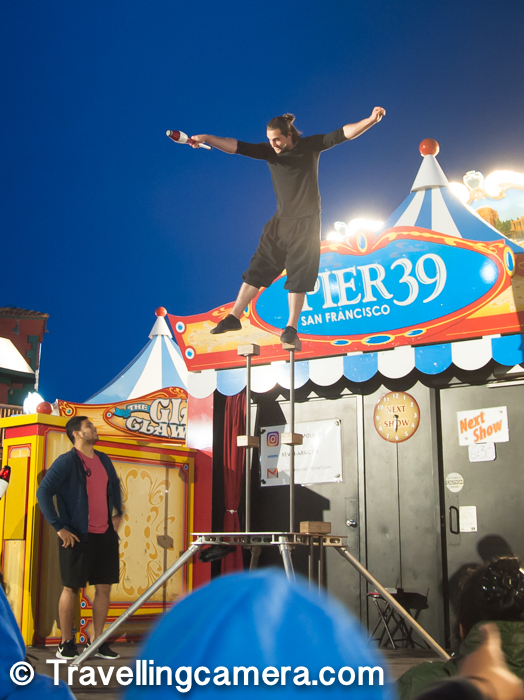 And while concluding this post I would highly recommend the show which happens in the middle area of the market on Pier-39. This is close to the place from where folks see sea lions. Most of the shows & the artists performing here are awesome. There can be some waiting time between the shows but it's worth. 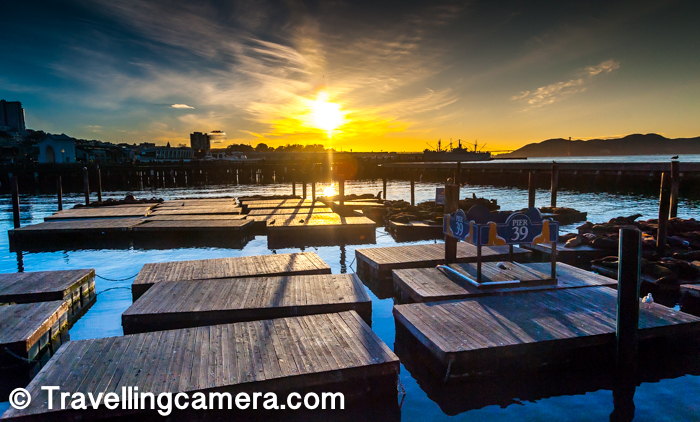 So go visit Pier-39 during your coming visit to San Francisco and let us know how did it go. 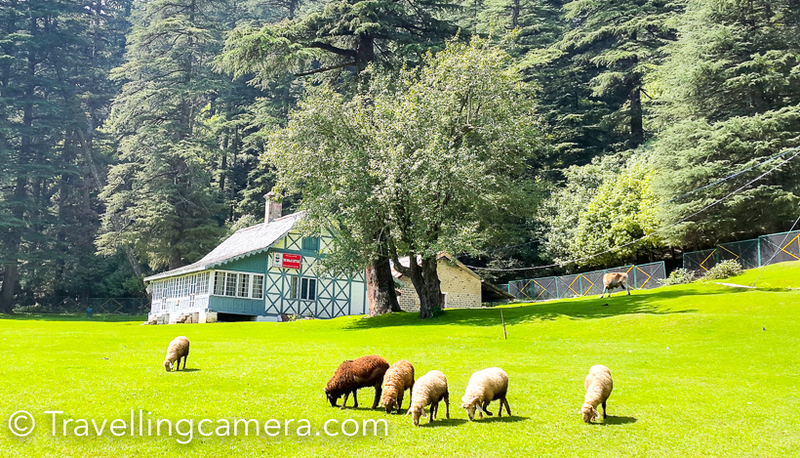 Feel free to share if you find something interesting which is not being captured here. Loved the post. Awesome photos. All these + golden gate bridge..
Shrinidhi - Golden gate is certainly not to miss in SFO but it's not really walkable from Pier-39. One can walk but it's little long comparatively.